We were deeply saddened to learn of the death today of Eva Thompson, a steadfast advocate for Death with Dignity legislation in Maine. She was 58. During her four-year illness—she suffered from metastatic colon cancer—Eva worked with It’s My Death, sharing her story and educating Mainers and Maine state legislators about assisted dying. 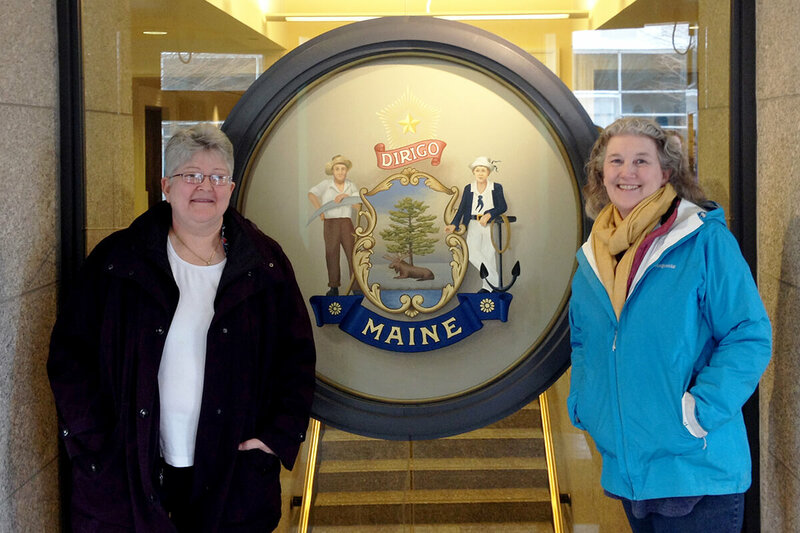 Eva Thompson (right) with It’s My Death director Valerie Lovelace at the Maine State Legislature. Eva testified before the Maine Senate Health and Human Services Committee in April 2017 in support of LD 347, an Act to Support Death with Dignity. 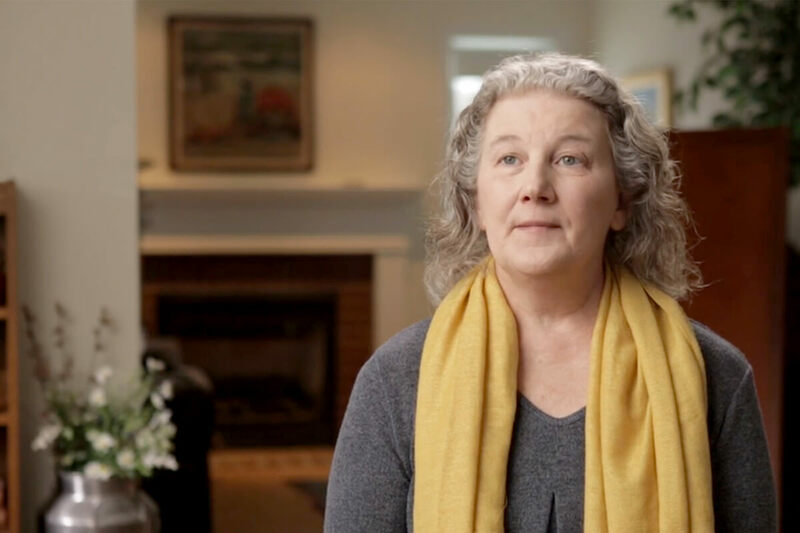 After the state Senate passed the bill and the House voted it down, Eva continued her advocacy, even as she knew she likely would not live to see Death with Dignity legalized in Maine. An interfaith community minister, artist, green burial enthusiast, and proud grandmother, Eva remained active in her final months and always made clear that she wanted to live as long as she could. “The way Eva walked through this world was an inspiration to many,” said Valerie Lovelace, the founder and executive director of It’s My Death. Eva’s advocacy and her ability to articulate the importance of Death with Dignity with courage and grace has inspired Maine Death with Dignity and we will carry her legacy forward to ensure that one day soon, all terminally ill Mainers will have the right to decide how they die.